Equipped with an iPad and an automated audiometer app allowing him to perform a diagnostic hearing test called ShoeBox, pediatrician Holden Sheffield is doing his best to diagnose ear infections and hearing loss, an issue which seems to affect Nunavut more than other parts of the country (via CBC News). Sheffield is also using an audioscope to take a picture of his patients’ eardrums. These pics are sent to ear, nose and throat doctors in Ottawa, who determine whether the patient can be treated locally or must leave the territory for surgery. Sheffield is currently working with the Québec-based World Wide Hearing Foundation but in about two months will establish a hearing clinic at the Iqaluit hospital. The World Wide Hearing Foundation has been focusing on Nunavut lately, because the territory’s youth have a high occurrence of hearing loss. Sheffield says this is due to re-occurring infections, so he hopes he will be able to address that with the clinic. Sheffield cites several reasons for the high rate of re-occurring infections, such as crowded houses, smoke exposure, certain situations in which there is poor hand hygiene, and more. 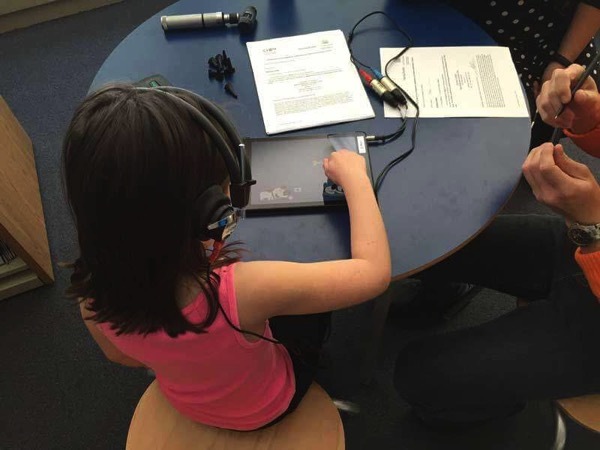 The ShoeBox app, developed by Clearwater Clinical, has been used in elementary schools in Montreal, Halifax and Saskatoon to conduct hearing tests as part of the expansion of the mHealth platform launched by the University of Ottawa Medical School.